As the weather gets colder, I’m sure there is a stylish item of this autumn you must have, a leather jacket suit, which can keep you warm and smart. Meanwhile, it can also make you handsome. Actually, whatever you dress to match your leather jacket, you will be a cool girl. Lots of web stars love leather jackets so much, they almost wear them in the whole autumn. 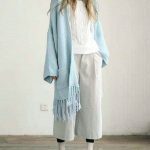 If there is a high-neck sweater or knitwear inside the jacket, you maybe look not very tough and serious, instead of a little tender and gentle. It is obvious to take a dress to match the jacket, and if the weather gets cold, just change a chiffon dress into a knit dress. In this way, you will not only be cool, but feel warm. 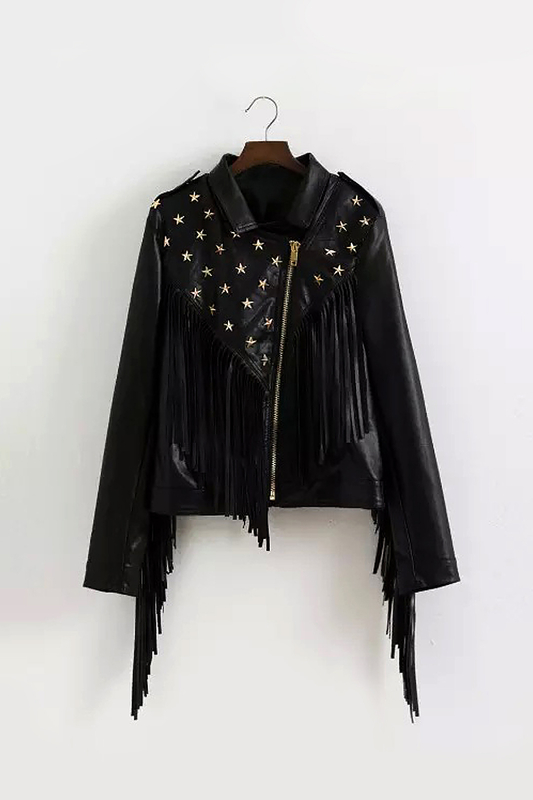 Look at this black leather jacket, fringe and gold stars make it special. 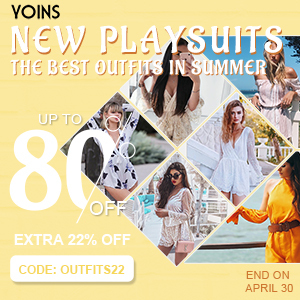 If you think it’s too hard, you can wear it with a black blouse and satin skirt, handsome and charming. This is a simple and generous leather jacket, and its classic version can hide your disadvantages of your body. So don’t need some flash ornaments, it’s enough to match with a slim pants.